Losing My Country, Keeping My Soul is Glass’s wartime story, dramatizing the lengths to which he went to remain morally untarnished and free from guilt. 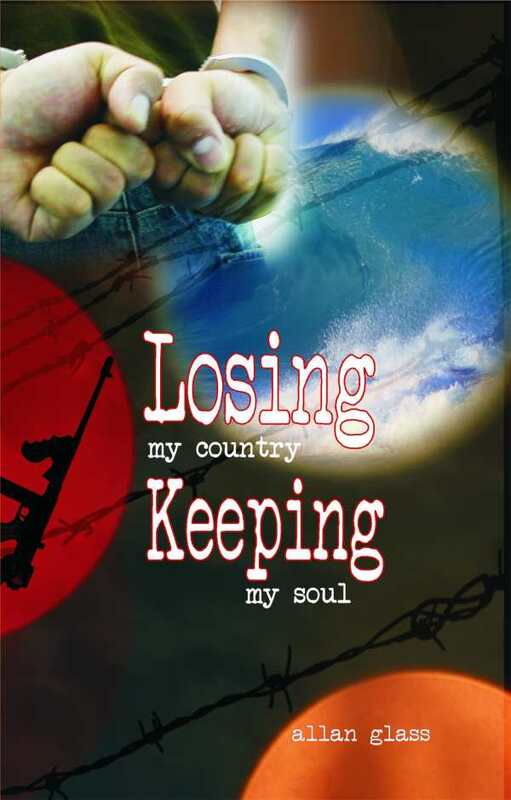 Losing My Country, Keeping My Soul is Allan Glass’s insightful memoir of escaping to Canada to avoid the Vietnam draft. Glass, a college dropout, was unexpectedly drafted, went through basic training while his friends were being slaughtered, and decided he couldn’t go through with a deployment to Vietnam. His is a gripping account of dodging wartime service and starting a new life abroad. The narrative maintains a sense of humor about its grave subject matter, with section headings such as “Fun, Fun, Fun” about life in sunny south Florida, and “Guns, Guns, Guns” about hardscrabble service in the military. It’s organized in a straightforward chronological fashion that serves the story well. Some sections deserve more attention than they receive, especially in light of the book’s broader themes, including a section centered on boot camp in South Carolina. The writing is evocative, whether Glass is describing carefree days surfing, scuba diving, and crabbing in crystal-clear bays, or hearing Walter Cronkite’s authoritative voice describe the Tet Offensive. It brings beach bonfires to life and sheds light on the narrator’s inner psychological turmoil; he cannot reconcile himself to killing or being killed. Glass captures his feelings of confusion over the war and his fears about landing in jail. Dialogue is recreated in exacting, believable detail that has the ring of truth. Conversations with the narrator’s mother, friends, classmates, and service members feel mostly authentic, though some are overly and distractingly expository. The book elicits sympathy by containing relatable scenarios and humorous anecdotes, including one in which Glass and his friends trick a newspaper reporter into running a story about a cross-country surfing trip in a hearse. Though sometimes unadorned, the prose manages to describe places like Vancouver in a few broad brushstrokes. Detailed language is transportive, evoking the streets and woods of Canada with sights, sounds, and concrete observations that add a palpable immediacy to the narrator’s confusion about his next steps in terra incognita. One feels transported to the streets of Gastown or the woods of Squamish, struggling to figure out how to secure citizenship.